This week we have been learning all about how police officers help us. 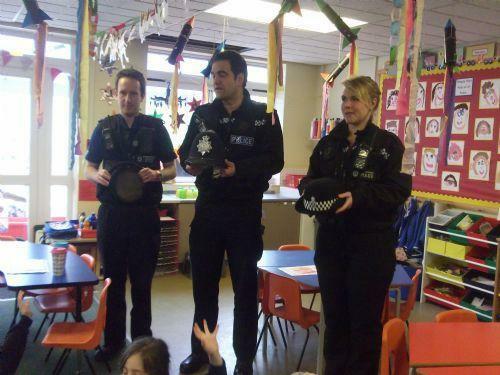 We were very lucky to have a visit from PC Richard Salter and his two colleagues, Gary and Rosie . We asked them questions about their role in the community. We sat in Richard's police car. Blue Class have enjoyed our Police Station role play outside.